The must have this season, the boot, is a wardrobe staple to compliment any outfit and our Ladies Design team have selected the essential styles from our AW14 range to carry you through the colder months in style. This season’s one to watch is the over the knee boot. This thigh skimming boot boasts a chic and ultra feminine appearance and with a mix of slouchy suede and structured leather styles, they look their best worn with thick knits and high hemlines. 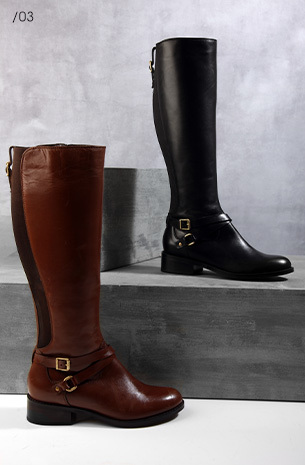 The timeless riding boot stays true to its equestrian heritage with its flat shape and smooth, polished leather finish. 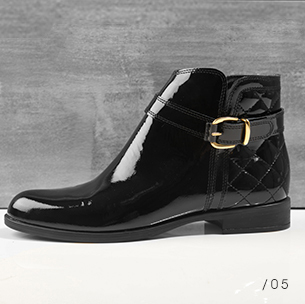 Smart yet practical, its subtle strap and buckle details add a touch of premium elegance. Add a touch of rock 'n' roll with the addition of some hardware Fur-Lined boots this season. Contrasting premium box and tumbled leathers with chain rand, studs and buckle harnesses, toughens up minimal and elegant silhouettes. The cleated rubber soled boot is reminiscent of the early ‘80s, when Suedeheads were rocking them with collarless grandad shirts and braces. 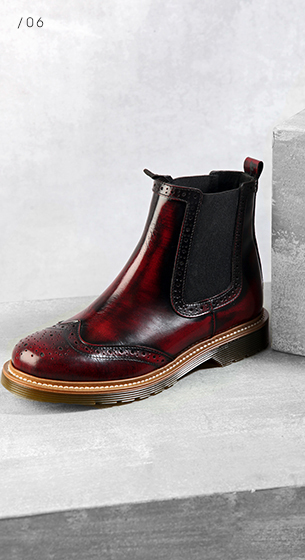 This durable yet smart boot retains its chunky look and polishes it off with premium finishes such as wingtip detailing and burnished dyed leather. 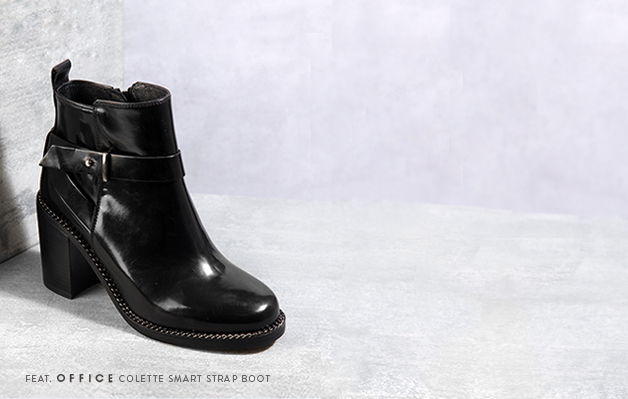 Stay warm and cosy this winter with plush, Hardware lined boots. 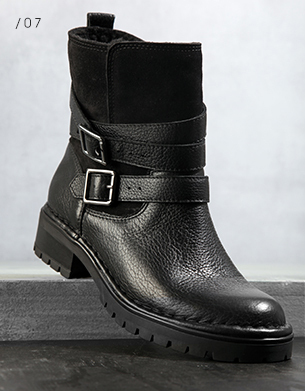 This luxe addition to a rugged, boyish boot style softens it against the buckle hardware and tumbled leather. With its stealth styling, the tough Fur-Lined boot is known for its pull-on motorcross shape and metal strap and buckle details. Wear with super skinny jeans and oversized tee for a bit of boyish charm or team with a feminine skater dress and leather jacket. A heritage favourite, the simple Western ‘cowboy’ inspired boot maintains its traditional raised seam details and small angled block heel. 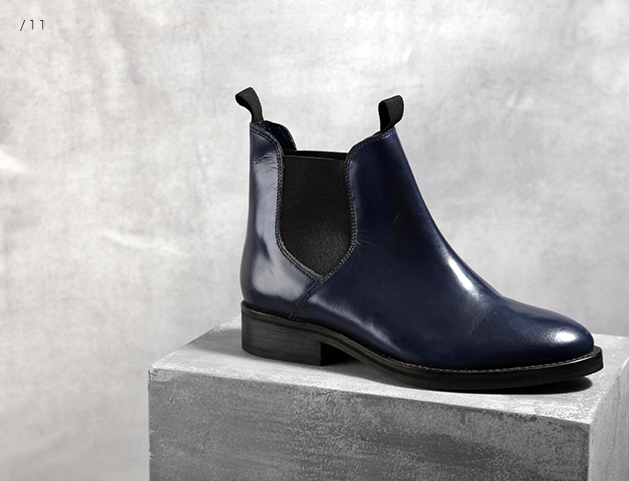 This timeless, leg lengthening boot will fit perfectly in any wardrobe. 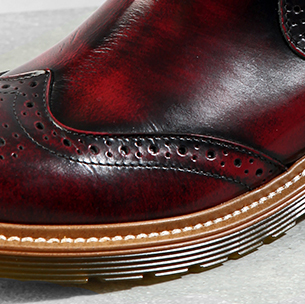 The Mod classic that became iconic in the 1960’s remains a boot essential all year round. 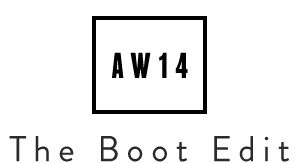 Easy to wear, it seamlessly goes with everything and whether its round, almond or pointed toe, it continues to be a style must have year after year.